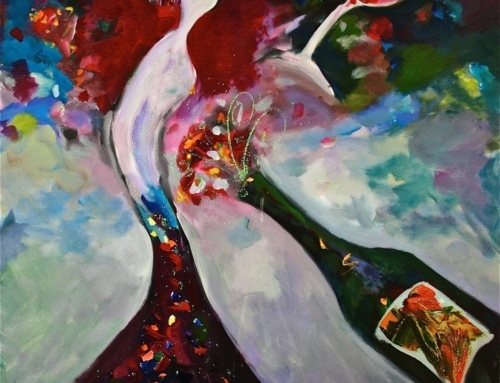 A 36×36 resin coated acrylic painting. 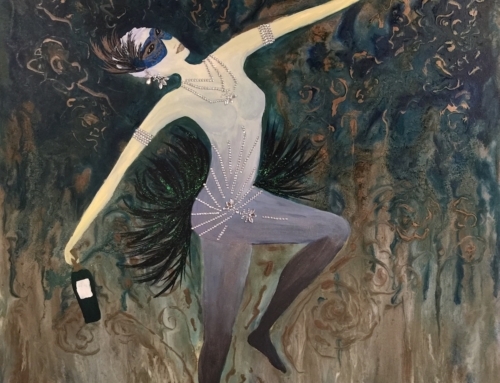 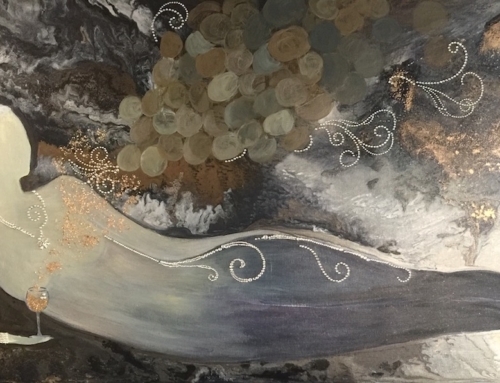 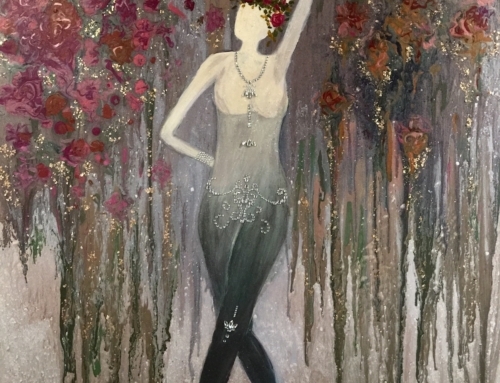 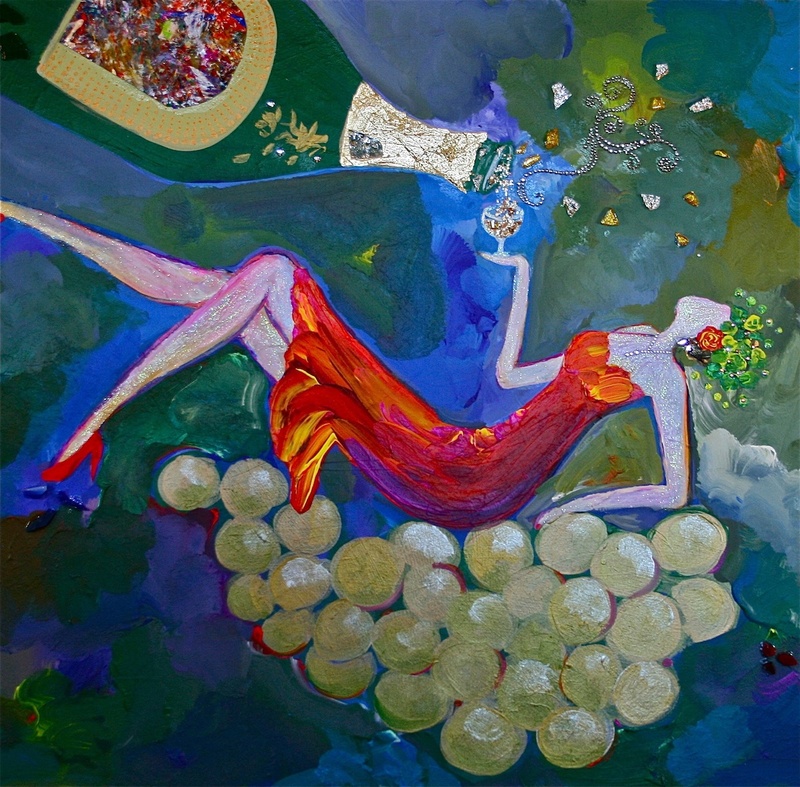 Goddess of Sparkling Wine is part of the Goddess of Wine series celebrating the riotous joy of women. 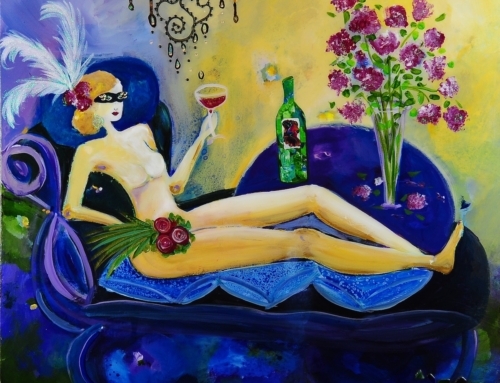 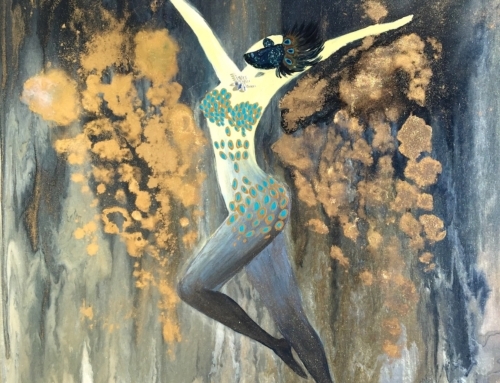 This painting appeared on a Chardonnay wine label for Bin 616, a private label for Amway Hotel Collection.